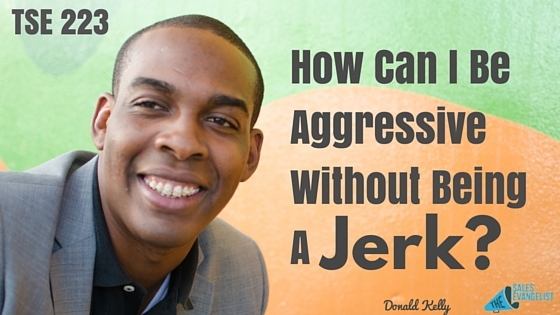 TSE 223: How Can I Be Aggressive Without Being a Jerk? 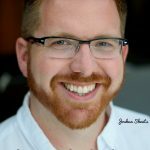 Home » TSE Podcast Post Page » TSE 223: How Can I Be Aggressive Without Being a Jerk? Let’s face it. 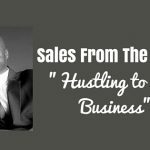 If you want to achieve massive success in sales, then you have to have a mentality of the survival of the fittest. Otherwise, you will get left behind by your competitors. One thing you need to do to get ahead of the pack is to be aggressive. And by that I mean, be aggressive without being a jerk. There is definitely a thin line between the two. A jerk is when you’re annoying, pushing, insulting people, being rude, or you’re hanging up on people or giving a nasty attitude. Being aggressive, on the other hand, means that you’re going to get your goal no matter what while keeping your customer’s interests top of mind. If you’re not aggressive enough to go for things and reach your goals then, sorry to say, you won’t be going anywhere near achieving success. So what does it take to become aggressive (without being a jerk)? Call the prospect and do not give up after 3 calls. Be at work longer than the 8 hours. Push beyond where most people give up. Don’t be afraid to tell the customer if their company is going through a major challenge and it’s costing them a lot of money. That is your moral obligation. Don’t give up on the 1st try. Don’t be scared to ask for the opportunity. Sometimes all you need to do is ask. Top sales performers are stubborn, relentless, and aggressive. Be among the top 20%. Earn the income and earn the lifestyle that you deserve!